Do you remember this card that I made for my niece's 21st birthday earlier in the year? A friend saw this card before I posted it and the following week asked if I would make the same sort of card but in gold and for her Dad's 70th birthday - her wish was my command. 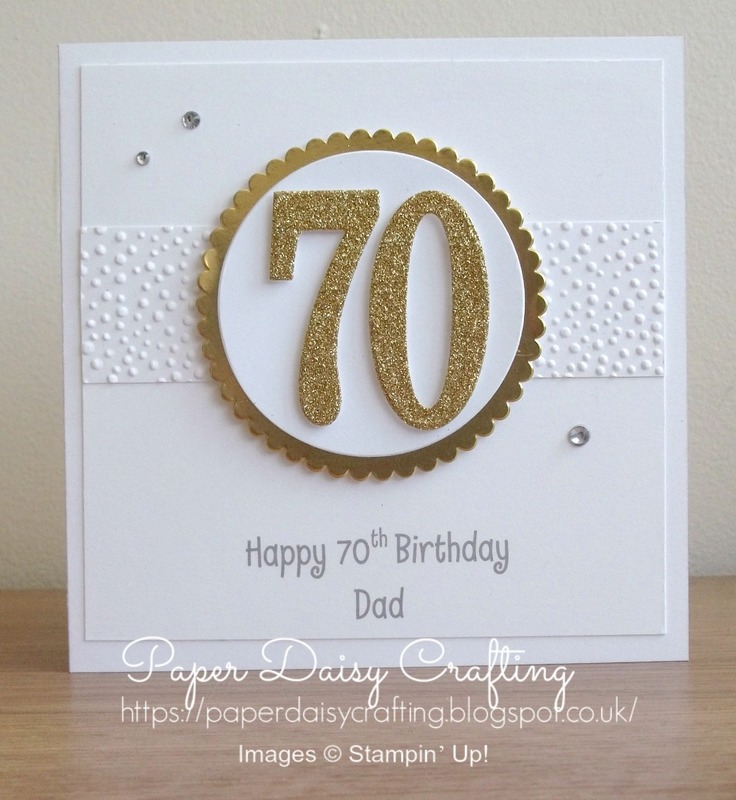 Since then, I've had orders to make the same card for several different ages. Some of you may know that I sell my cards online via Etsy and Folksy - have a look HERE if you'd like to see one of my shops. The personalised message could easily be replaced with a stamped one, if you are not terribly computer savvy!! Whilst I was making the second card I had Christmas on my mind and started wondering if I could use the same layout for Christmas cards. Come back tomorrow to see the results! !